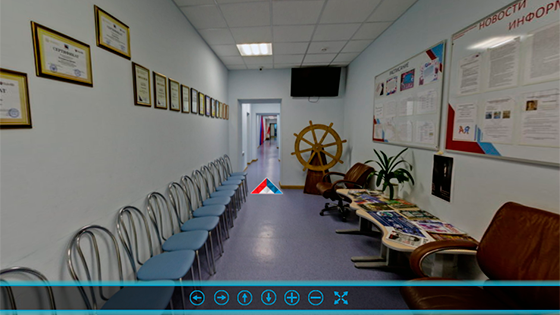 A campus type school from kindergarten to secondary school with Russian and internationally acknowledged degree in Nagornoe, Moscow. The school complex in Nagornoe, Moscow corresponds to the basic principles of a campus style type of school. A vast compound in the heart of the village of Nagornoe, Moscow offers all the amenities of a modern and innovative school. Great value is placed on rooms that are properly equipped to develop and promote healthy learning behaviors. Studying within a structured classroom environment as well as outside in the spacious open areas of the school premises enables children and teens alike to be able to focus on responsible study habits and to aim for high levels of achievement. Pupils are encouraged by highly trained teachers (all of whom also have international teaching certificates) not only with regard to gaining knowledge but also to learning to study in a self-reliant manner – which means that the individual needs of each and every child are taken into account when planning their dally school routines. The school`s modern architecture, top-notch facilities and equipment, the contemporary design of the rooms and open areas, as well as the use of innovative school materials are based on what are considered the current best practices to promote the highest level of achievement for all students. The sports facilities as well as the entire school complex offer an environment that is conducive to the sports-related and health-promoting goals of the school. The achievement of school-related tasks is complemented with a supportive learning environment, which prepares pupils in an optimal way for their professional lives as well as for their future roles in society. Inspiration Europe: We have chosen Peter the Great, the most important czar and modernizer of Europe, as seminal leader and role model for our school as he resembles this idea best. European standards have been integrated into many areas of the curriculum, which is necessary to enable the school´s transition towards becoming a certified European school as well as for the international recognition of the secondary school degrees. In this way, continuing and further international education at European universities is secured. Renowned Austrian educational experts are the most important partners of the school. Together with the Russian executive team, they have put together a school concept that guarantees the above-mentioned results. The school will have a strong focus on learning the Russian, German and English languages, and this will be featured prominently in the leaving certificate of the school. Starting already in primary school, the acquisition of languages will be promoted in an encouraging and stimulating manner. In the upper form of the secondary school there will be a focus on economics, which will make the transition to Russian and European universities that have a financial or economic focus easier. The pedagogical concept enhances an achievement-oriented and motivating atmosphere at the school, which guarantees the best results ad helps steer the students towards a successful future.